Hi! I am an Army wife, married for twenty years with four amazing children. I have worked in many offices around the country and in Germany; however, I am most happy to call Yelm our home. 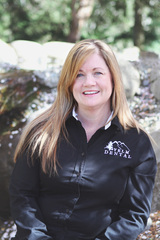 I love the small town life that Yelm has to offer and Yelm Dental is the best place I have ever worked! You will see me when you check-in for your appointment or hear my voice on the line when you call. I strive every day to help our patients in a friendly and professional manner. 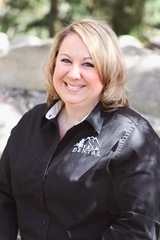 I feel truly blessed to be a part of the Yelm Dental team. I have been working with Dr. Kay for the past 20 years and have known Dr. Smith since he was a small child. How time flies! I started as chair-side assistant in the practice and have now been working in the front office specializing in insurance benefits for the past several years. I can help you get the most out of your dental insurance! My husband and I have raised our daughters here in Yelm and are now watching grandchildren grow up here also. Some of my favorite pastimes are quilting, reading, shopping, and enjoying sunshine, even if I have to hunt it down! 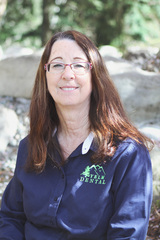 I'm happy to say that I've been working at Yelm Dental since 2007 with a short two-year break while living overseas. The military brought my family here, and both of my children graduated from Yelm High School. I love our community because it has a small-town feeling while still being rich with Small Businesses,Military Families, Educators, Machinists, and Agriculturists. It's a joy to see the same patients year after year and see how they have grown and changed. 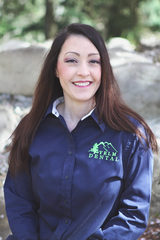 Our Team at Yelm Dental strives to give our patients the best possible care. It's my job to ensure that happens. We love feedback, and I'm always available to hear about your experience! We would like to welcome Billy! Our newest team member.